Peter has been working with Crystal Peak Design since 2006 primarily in Web Development. After a 30 year career in Ballet and Dance with companies across the United States and the world, he has settled down in his home town Colorado Springs with his new career in Multimedia Design. In addition to working for Crystal Peak, Peter is also the Chair of the Multi-Media & Graphic Design Department and an Instructor at Pikes Peak Community College. 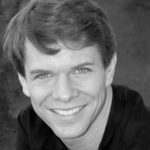 He has worked in the Front Range metro area focusing on marketing for Professional dance companies including David Taylor Dance Theatre, Zikr Dance Ensemble, Ballet Ariel, Dawson Wallace Dance Project, Colorado Springs Dance Theatre and Ballet Wyoming. He has also been an instructor at Pikes Peak Community College for over 11 years and is now department chair for Multimedia Graphic Design. Peter has collaborated on over 50 web sites with Crystal Peak and is honored to be part of the team.